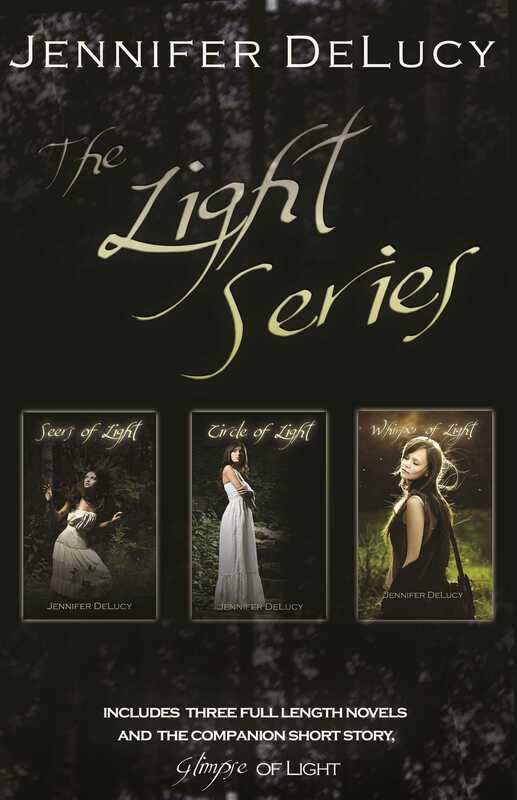 The three book box set of The Light Series by Jennifer DeLucy includes Seers of Light, Whisper of Light Circle of Light, and the short Glimpse of Light. Seers of Light: Lillian Hunt has never truly lived. Always sensing there was more to the world than is easily perceived, she feared that her instincts were stubborn flights of fancy, or worse, mental instability. But some things - disappearing strangers, tangible dreams and visits from malevolent creatures - cannot be ignored. Whisper of Light: The saying goes that all men are created equal... but Nicole Abbot knows better. Lacking the supernatural gifts of the Sentients she has known all her life, Nicole has lived with her nose pressed to the glass, withering beneath the guilt of her own inadequacies and the disapproving glare of her father. It's easy to believe that the universe has forgotten all about her, but things are not always as they seem. With the arrival of Christian Wright, a handsome but complex Combatant with a troubled history, Nicole is forced to question everything she has ever believed about herself, proving that sometimes, our most flawed perceptions are those reflected in a mirror. Circle of Light: Empath and Pathcrosser to the dead, Lillian Hunt has finally come into her own as a Sentient being. All seems well in her brave new world...that is, until a tragic turn sends her tight-knit Sentient group on a rescue mission through lore-infested Europe. Their goal is to save the love of Lily's life-vampire Sentient, William Maddox - from both the prejudice of their own society and the dark intentions of ancient vampires. But how will they keep hope alive, even as time runs out? Circle of Light is a brilliant finale to The Light Series. DeLucy once again delivers gripping paranormal encounters, irresistible character interactions, and beautiful testaments to the power of pure, unselfish love - but it all burns at a higher intensity in this concluding adventure. Readers will come away from Circle of Light with a satisfying sense of closur...although certain Sentients may be less than happy with their ever after.